Guests at Walt Disney World Resort will soon be able to book Disney’s newest experience, Sense of Africa at Disney’s Animal Kingdom Lodge. 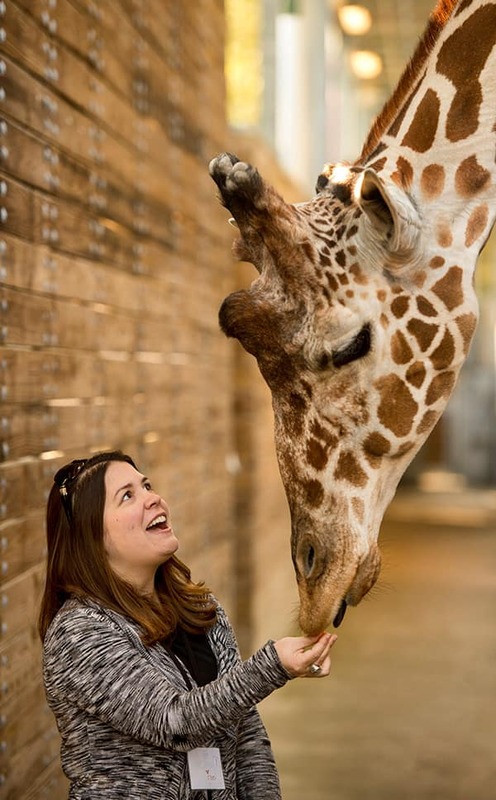 This 3.5-hour-long breakfast and tour is designed to immerse guests in the richness, culture and history of this African-inspired resort and give a backstage peek at the care, feeding, well-being and social interactions of the resident animals. 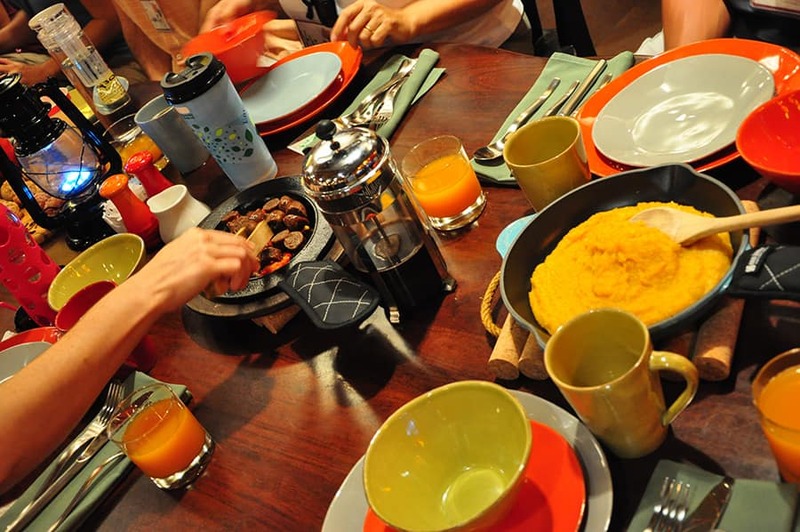 A typical tour begins with a unique twist on breakfast at Boma—Flavors of Africa, followed by encounters with animals such as okapi, giraffe, ostriches and red river hogs. Sense of Africa is a feast for all five senses. Start your exploration with a breakfast chockfull of exotic (try the pap, a tangy porridge-like dish from South Africa, or turkey bobotíe) and more familiar fare (Mickey waffles, anyone?). But why not be adventurous? There are so many authentic African dishes, from sweet to savory and beyond. In addition to the snorts, grunts, squeals and bleats you may hear, the animal keeper guides and trainers offer a plethora of information. 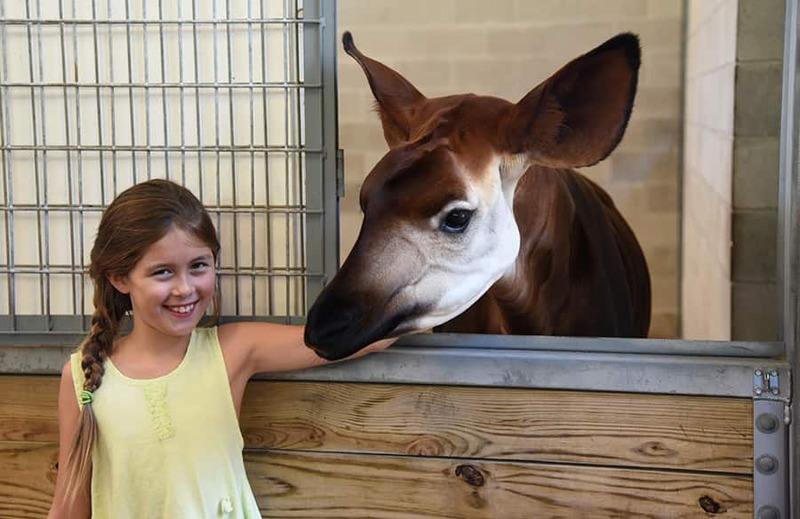 Did you know that the okapi wasn’t even discovered until 1901? Or that Disney’s Animal Kingdom Lodge houses the largest collection of authentic African art outside the African continent? Not to mention the Zen-like peacefulness of the savannas in the early hours. A visit to Boma—Flavors of Africa is a buffet of delicious scents and spices. On the savanna, get a whiff of the hay or browse (leaves, tender shoots and other soft vegetation, which is grown on property) the animals dine on each day. Here’s something you don’t always get a chance to do. Select from vegetables, mealworms and other favorites to create enriching treats for a group of young red river hogs. Then watch them playfully discover – and devour – the delights you just hid for them! Of course, everywhere you look—from the authentic garb of the cast members from Africa, and the color palette and textures of Jambo House, to the magnificent, intricate fur and feather patterns and expressive eyes of the animals – there are sights to behold to last a lifetime. Sense of Africa is a real chance to get a behind-the-scenes peek at the magic. The experience will be offered on Tuesday and Saturday mornings, beginning April 9. Reservations are available starting April 5; call 407-WDW-TOUR (939-8687). The cost is $249, and staying at Disney’s Animal Kingdom Lodge is not required. Experiences may vary. How manageable is this for a handicapped person? I cannot stand/walk for 3 hours without some sitting. Hello. Is the hands-on animal experience a large part of this tour? I recently went to the T.I.G.E.R.S. 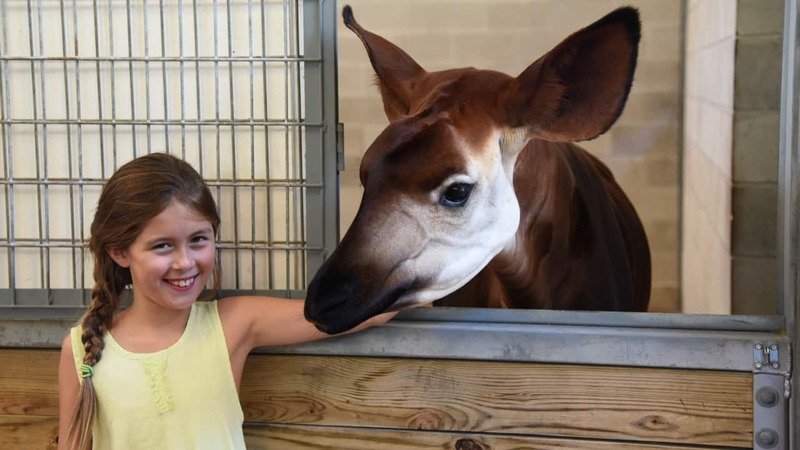 Wildlife Encounters Tour in South Carolina and I’m curious if Disney’s New Sense of Africa Tour is equally as amazing/worth the ticket admission of $249 per person as that was. Experiencing the food and art of Africa sounds interesting, but my boyfriend and I are more interested in getting up close and interacting with the exotic, beautiful creatures at Animal Kingdom. Thank you for taking the time to read and address my comment. agghh I just got back on the 8th..
that is probably why I did not see it until now….. I am sure this is nice but very overpriced. Even for just my husband and I the price is too high. Can’t see how a family with children could possibly pay this one. This tour looks remarkable, but wow, that is far too overpriced. Considering other multi -hour tours including a mall are mainly priced below $125… doubling that norm is a bit excessive. I’ll pass. With my AP or DVC discount and breakfast at Boma, this isn’t bad. Hi, Patricia. Guests must be at least 10 years old to participate. I forgot to mention we of course got to see many animals and even up close. The housing for the animals, etc. Don’t hesitate to look into it. I just spoke with someone in reservations. It is $249.00 per person. I personally think it is overpriced for this 3 1/2 hour tour. I recently took the Tour that goes out from AK Park at about 8:30 am. It was almost 6+ hours and I could not have asked for more. We had a great tour of their Hospital and their Kitchen. We watched them preparing the many different foods for all of the specific animals. We even had a light snack and a gift. 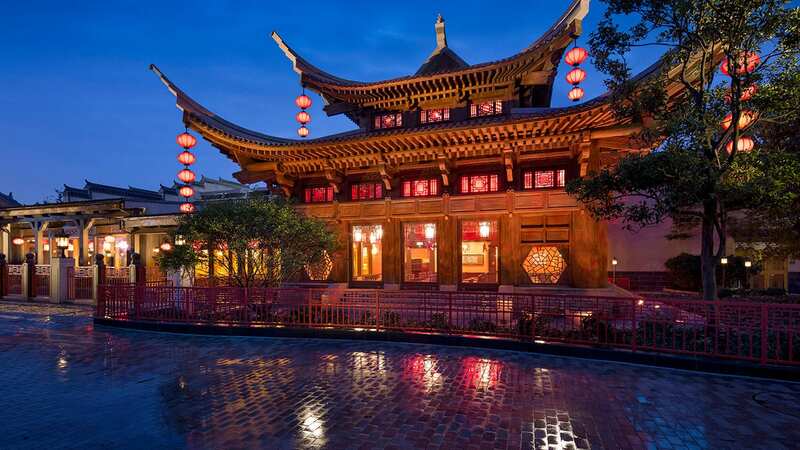 This Tour runs about $95.00 per person and qualified for a discount with the Disney Visa Card. I think we paid about $60 + . It was so wonderful and I would highly recommend it. I would not hesitate to take it again in lieu of this new Tour. I think it looks great and it includes a meal which is somewhat expensive at Boma….so say take 40 to 50 per person off for that as you won’t be tipping,,,then it’s a one of a kind experience which Disney does so well…like Africa Trek and it’s worth every penny. Behind the scenes small group access is worth more. There’s a 15% discount for DVC and AP holders. That price is per person. This looks amazing but I’m with the others – I think it’s overpriced. Too bad because I think my daughter would love it. More precisely, does anyone from Disney answers questions? Anyone from Disney monitors the comments section? Does anyone know? Any discount for annual passholders? Yes, Richard, there is a 15 percent discount for Passholders and Disney Vacation Club Members. This tour is unlike any other experience offered at Walt Disney World, and we are looking forward to our debut April 9. We are already on theDDP so can have breakfast at Boma for free. So Disney wants almost $1000 to show me and my family around Animal Kingdom for a morning! Sorry Disney you’ve really overpriced this one. Is this $249 for a family or per person? I assume that is 249 per person… not per family right. Kathy, it is $249 per person. #DisneyTweens: ‘Party Animals’ at Disney’s Animal Kingdom!